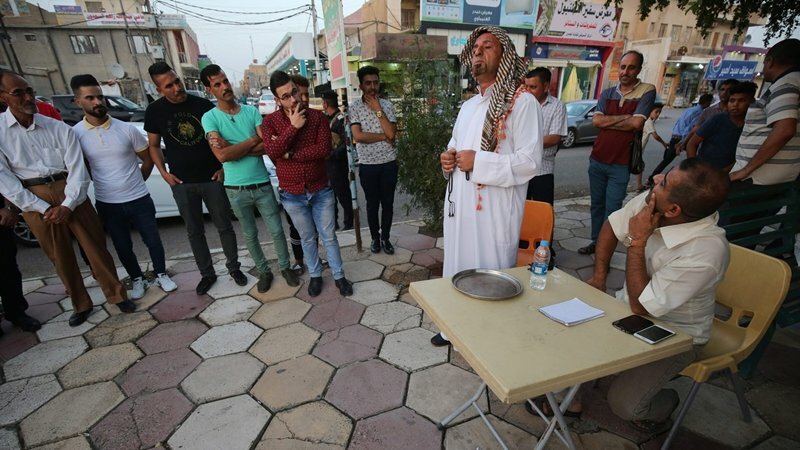 IRAQ: On a strip of pavement in the southern Iraqi city of Kut, a gaggle of amateur comedians pulls in the crowds every Friday – drawing chuckles, smiles and knowing nods. “Theatre is a message,” said the 42-year-old al-Atbi, director and actor in the seven-strong troupe. “With our satire, we condemn... corruption, lack of public services and tribal activities,” he said, citing those factors as central to discontent in Iraq. The scene did not require much in terms of props – just a table and a few chairs, which were quickly encircled by rapt onlookers. Where rubbish was once piled high, roads are now clean and refuse is collected regularly, Abu Ali added – thanks at least in part to pressure created by street plays. “‘You exaggerate!’ ‘Stop insulting the parties and leaders!’” are common refrains, al-Atbi shrugged. Once a week, they set up on ‘Tigris Culture Street’, among stalls of second-hand books lining the banks of the river running through the agricultural region. The plays are the only “breath of air... for people of culture” in the area, said hairdresser Karim al-Bahadli. “They express the feelings that are inside,” said al-Bahadli – a must, he believes, for a turbulent country that is ranked by Transparency International as the world’s 12th most corrupt. Southern Iraq was the epicentre of protests in July against corruption and poor public services. Iraq's state human rights commission said recently that at least 14 people were killed in the demonstrations, which spread from Basra to Baghdad, before waning under pressure from the security services. In one scene, the actors play two politicians – one a devout man offering voters access to the afterlife, the other promising to fend off government efforts to shut down shops selling alcohol. To avoid sailing too close to the political wind, they use no names. But appreciative murmurs and giggles among the audience indicate they know exactly who is being mimicked.